Day Seven: We were unbelievably lucky in enjoying beautiful summer days for the duration of the cruise but today our luck ran out. A storm moved in quickly, ruining our chances of a morning swim. 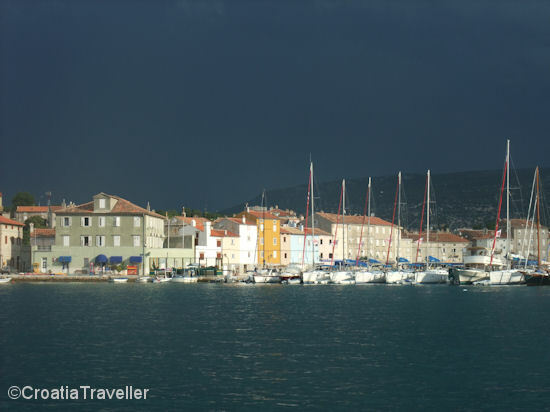 Cres town harbour enjoyed this bit of light before the rain started crashing down. Next.